An Orangeburg County man has been accused of sexually assaulting a woman last month, Sheriff Leroy Ravenell announced Monday. 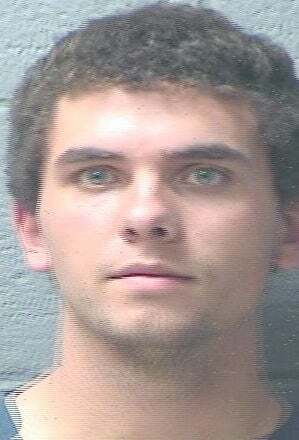 Austin Lorick, 22, was charged with first-degree criminal sexual conduct and kidnapping. Orangeburg County Sheriff’s investigators were sent to the Regional Medical Center on Feb. 25 after a woman said she had been the victim of a sexual assault. The woman said the incident happened two days earlier after she and Lorick, a former boyfriend from several years before, had been hanging out and having drinks at a local bar before going to a private party, according to a report from the sheriff’s office. The woman determined she had had too much to drink and relied on the Neeses man to drive her from the party. She felt comfortable enough to stay at his residence, she said. However, at some point, she awoke to discover some of her clothing missing and Lorick allegedly touching her in an inappropriate manner. She told him to stop, but he allegedly continued to the point of sexual battery. When she attempted to fight him, he pinned her down, she said. Lorick then fell asleep, she said, allowing her a chance to call a relative to pick her up. The woman said she didn’t call law enforcement earlier out of fear and embarrassment. During hearing on Monday, bond was denied on Lorick. He faces up to 30 years in prison if he’s convicted of either charge. A 35-year-old Orangeburg man is dead, apparently after being shot in the head early Saturday morning.